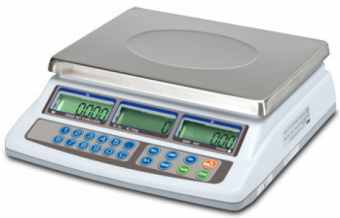 Compact dual range price computing scales for commercial use. Connectable to the printer, for amount totalisation function. 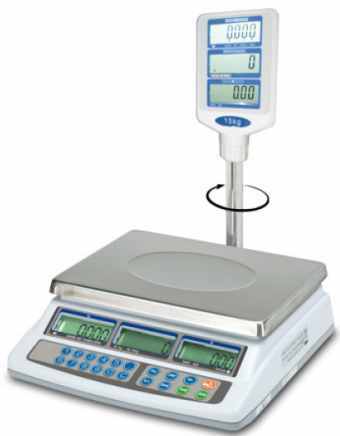 Dual range price computing scales with column, for commercial use. Connectable to the printer, for amount totalisation function. 3 backlit LCD displays on keypad on operator side and 3 backlit LCD displays on revolving column on customer side, with digits 20mm high, for simultaneous indication of weight, price and amount. Packaging: 550x380x235mm size - approximate weight of 6kg.